Kauai Exclusive offers luxury vacation rentals on Kauai at competitive prices while setting a new high standard for customer service. With a select inventory of oceanfront and larger rental properties, Kauai Exclusive is the place to find high-end Kauai vacation rentals with a variety of price options suitable for couples, families, wedding parties, and large groups. No matter which side of Kauai you'll be visiting, Kauai Exclusive has the perfect vacation rental for you. Experience a majestic and genuine island lifestyle on the North Shore. Enjoy adventure, diversity, and luxury at your fingertips on the East Shore. 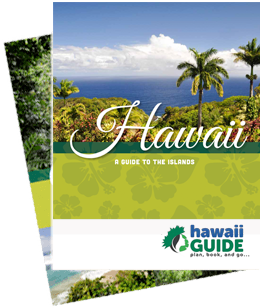 Or, discover the appeal of popular Poipu and why it’s called “the sunny South Shore”. Kauai Exclusive is managed with a vision born of the personal experience of its founder and owner, Josh Rudinoff. After witnessing ways in which he could greatly improve the service being offered to guests, Josh pioneered private management of the individually-owned luxury hotel units at the Waipouli Beach Resort. Once other owners at the hotel heard about the great feedback Josh’s guests were sharing, they asked him to manage their units- in addition to his own- and Kauai Exclusive was born. Josh is a genuinely kind person who cares about both his guests and the property owners he represents; and since he was born and raised on Kauai, he has a wealth of information that he is more than happy to share. In order to find the best property for your needs and desires, we recommend filling out a quote form below, as Kauai Exclusive is all about service. A Kauai Exclusive representative will be happy to contact you directly and will assist you in selecting and booking the ideal location for your Garden Isle getaway. It's always nice to have an expert assist you, and the staff at Kauai Exclusive are, indeed, true Kauai experts. Receive a Personalized Quote from a Kauai Exclusive Specialist TODAY! Let our experienced Kauai agents help you. Please fill out this form and we will provide you with a custom quote within the hour. This content is sponsored by Kauai Vacation Rentals by Kauai Exclusive. Guide of US is a travel destination media and marketing company that receives compensation from companies or organizations whose products or services are promoted on this site. We review and evaluate the services of each company to ensure they meet our highest quality standards for travelers. We are independently owned and any opinions expressed herein are our own.